“Winter” means something very different here in Southern California than it does to most of the rest of the country. We don’t get any deep freezes and even on the coldest nights, the weather rarely dips below freezing. We still use heating systems to keep warm, but homeowners tend to focus much more on air conditioning. There’s little need for your AC at the moment, but that could change at any time – unexpected heat waves are hardly uncommon – and soon enough, you’ll be called upon to run it on a daily basis just to keep your home comfortable. If there’s a problem with your system, now is a great time to contact a technician and get it repaired. This is one of the few times of the year that your air conditioner isn’t going to see much use, which might not be the case in as short as a few weeks. Comparatively few repair issues start with the unexpected shutdown of the system. Indeed, such issues are easier to resolve than others because at least the shutdown alerts you to the fact that there’s a problem. Many other issues are quite subtle, however, and if you don’t know what to look for, you might be letting a problem grow worse and worse until the damage is extensive. Is Your System Acting Strangely? Most problems with your air conditioning system will begin advertising well before the damage is severe. And because we run our air conditioners so often in this part of the world, you’ll likely notice if your system doesn’t respond the way it normally does. Any abnormality, no matter how trivial, is grounds for shutting the system off and calling for a repair technician. Low Air Flow: You can check for this by tying ribbons to your vents and watching their movements. 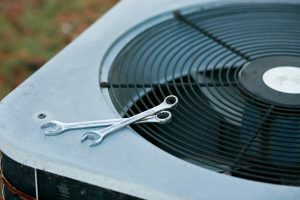 Reduced air flow usually means a blockage or a problem with the fan, and will force your system to work harder than it should to cool your home. Low Cooling Levels. If the air isn’t as cool as it should be, that similarly is going to cause the system to work harder to do its job. It can result from low refrigerant levels, overheating components, or breaches in the ductwork, among other things. Strange Noises. Strange noises can include anything you don’t recognize as your system’s normal sounds: clangs, groans, hums, rattles, whistles, or anything in between. In most cases, the sounds will start and stop in time with the starting and the stopping of the system itself. Short Cycling. Short cycling is the process whereby the air conditioner turns on and off rapidly multiple times throughout the day. It’s usually a serious problem that requires immediate attention. For air conditioning repairs and service in Whittier, CA call on the friendly pros at Greenleaf Heating & Cooling today!